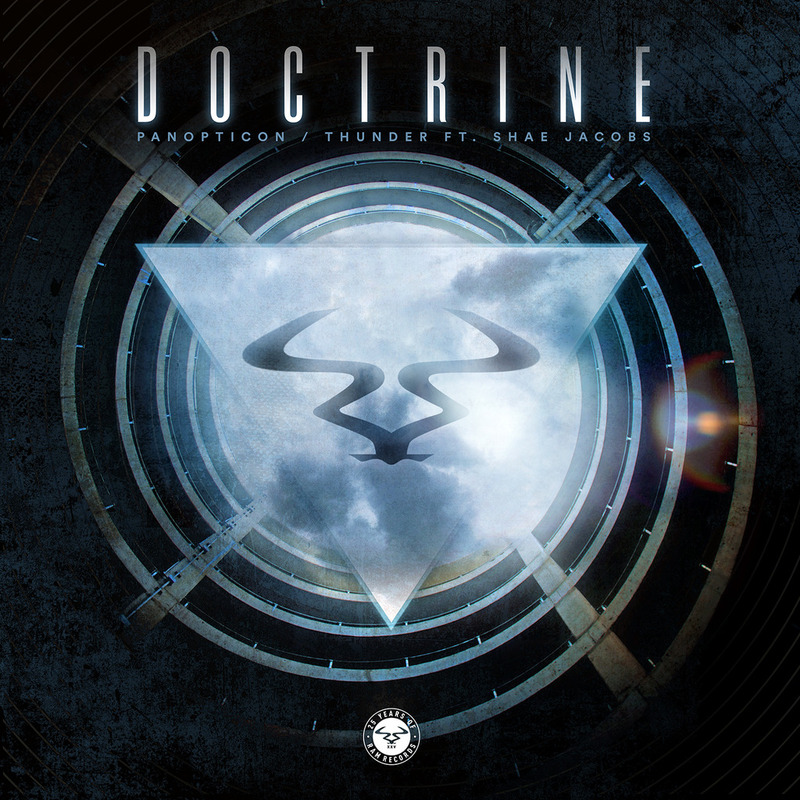 Doctrine - Panopticon / Thunder Out Now! Doctrine - Panopticon / Thunder Out Now!New music on Ram! Doctrine began his illustrated music career within the world of drum & bass and dubstep. Able to effortlessly master the production styles of both sub genres, his gradual ascent was littered by various critically acclaimed Eps and singles, each time pushing him further and further into the spotlight. Playing his music alongside high calibre artists across Europe, from DJ Hype to Mala, his taste has proven to be eclectic and this shines through in every one of his releases. With support from the likes of Ministry of Sound and some of the industries biggest tastemaker YouTube channels, Doctine’s name has become well known across both the live scene and cyberspace simultaneously. However, this time he’s been enlisted into the ranks of Ram Records, one of the industries most esteemed dance music labels and a pillar of the drum & bass community. His hard-driving, eminent merger of classic funk, jazz and neurofunk fits perfectly inside the imprint’s back catalogue, signalling through his effortless skill why he was taken onboard. Glitchy beat patterns and rumbling, cranking drums characterises first track Panopticon, which draws for a darkly extra-terrestrial atmosphere. Pumping synths underpin the flowing bassline, creating a driving rhythm and a hook which shines through each flipping relay of sonic. Rhythmic grooves give the record a more dancefloor appeal, demonstrating a carefully manufactured design which has the versatility to confine itself within any set. On the flipside, Thunder rolls out next, with the help of Shae Jacob’s vocal prowess. Stocky subs and elevated vocal crescendos draw you deep into the mix, presenting a crashing drop that throws you into crunching bass. Emotive lyrics pepper each breakdown, creating a crossover anthem that still bites with every drum loop. Doctrine shows his enviable talent, with a divisive single on a definitive label. Doctrine is once again pushing his sound into unknown territories. The result can only be a fan base which expands with his growing reach.